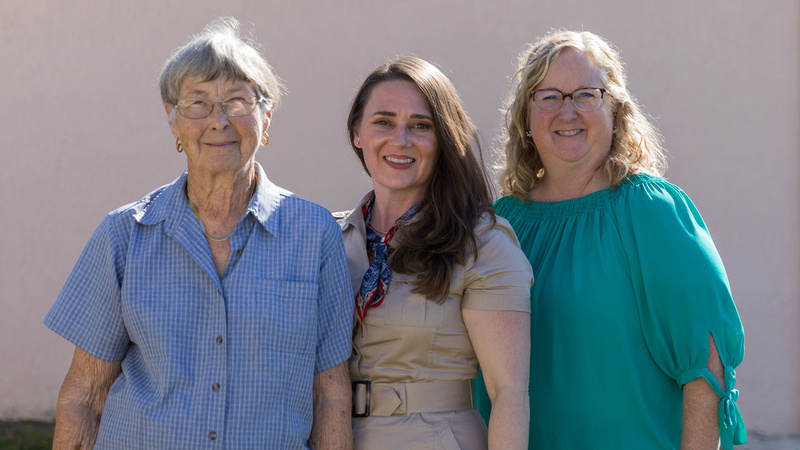 As was head into 2019 – I wanted to pause and highlight some of my favorite family history experiences from my family history journey over the last year. Last fall I had the opportunity to provide family history consulting services for an adopted individual. Using DNA results, the individual's non-identifying adoption paperwork and traditional research methods I identified the individual’s birth parents. 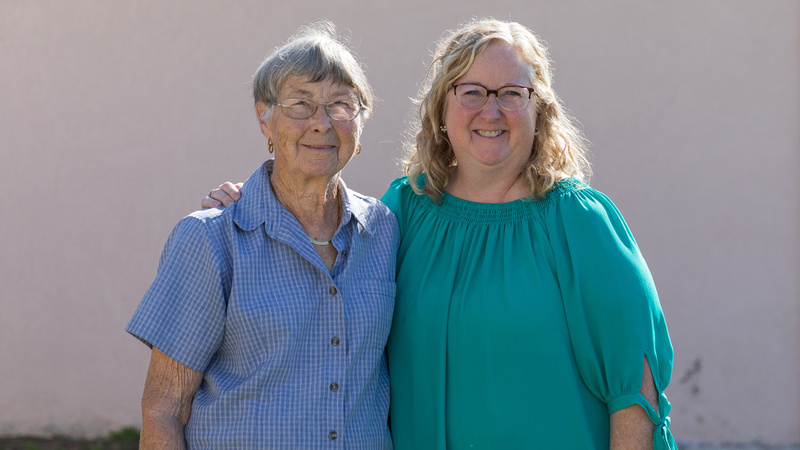 It was a very rewarding experience to help someone learn more about their family history. I really enjoyed working on this project and currently have openings to take on new family history research, genetic genealogy and adoption clients in 2019. In December my husband and I stayed in New Smyrna, Beach Florida for a few weeks before heading to Davenport, Florida to spend Christmas with my father. Families are often spread far and wide in our modern world - so it was really nice to spend time with family members we don't get to see very often. It was a lovely vacation – the ocean is one of my favorite places to visit. 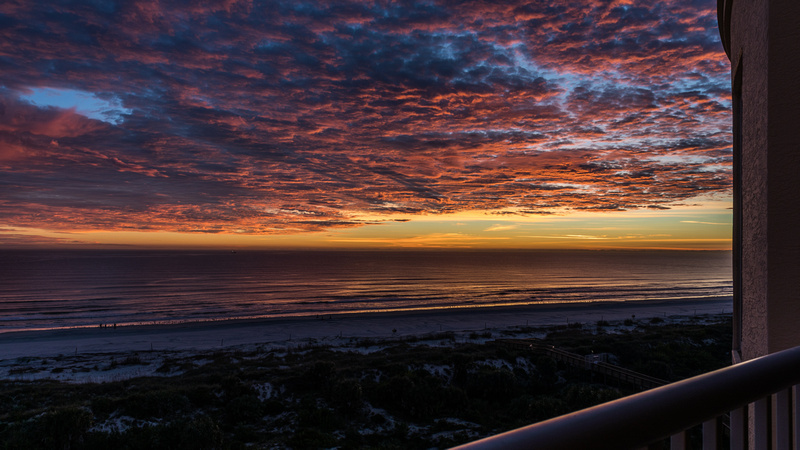 If you would like to view the other amazing photographs my husband took in New Smyrna Beach you can visit the MB Boutiques New Smyrna Beach photo gallery. 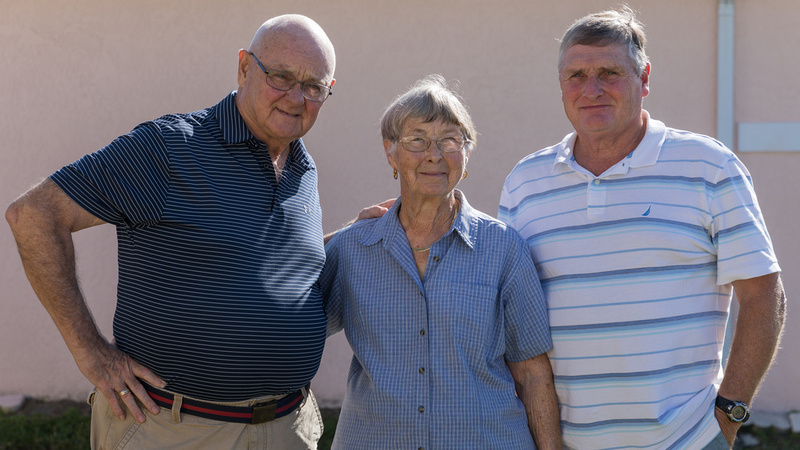 While in Florida, we also had the opportunity to visit with my Great Aunt Dorothy Elizabeth McDonald Davies and Great Uncle William Loraine McDonald - the siblings of my paternal grandmother Mary Eugenia McDonald. We had a wonderful visit and took several photographs to highlight the occasion! There were twenty five articles posted at the research site last year. Many of these articles were wedding announcements located for members of the Selker family. There were also old family photographs shared and other research articles. The third post in the Guth Research Update Series was shared last year. The series is focused on the ancestors of two German born brothers – Francis Xavier and Leopold Guth who settled in Clarion County, Pennsylvania in the mid 1800's. Over a two year period the family was extensively researched with the assistance of Ute Brandenburg the owner of German Script Experts. I am thrilled to finally share the validation of the original research completed by Jr. Janet Staab many years ago. 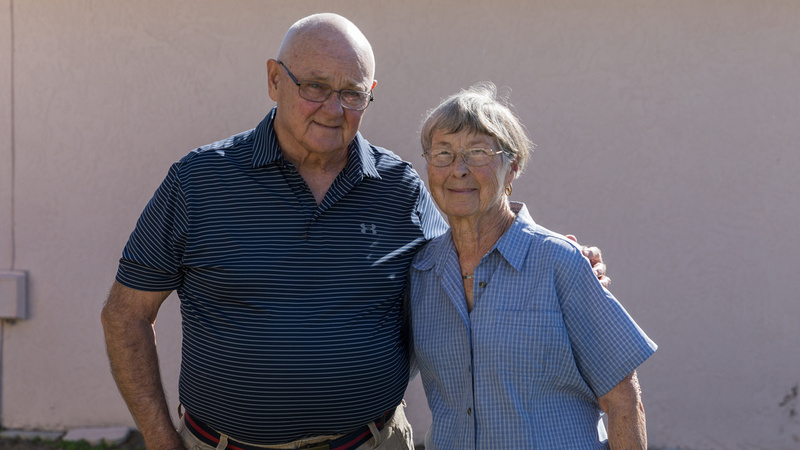 The Guth Research Update Series will also feature previously unknown Guth family members. A cousin graciously shared a photograph from the wedding of Frederick William Selker & Eleanor E. Herman. 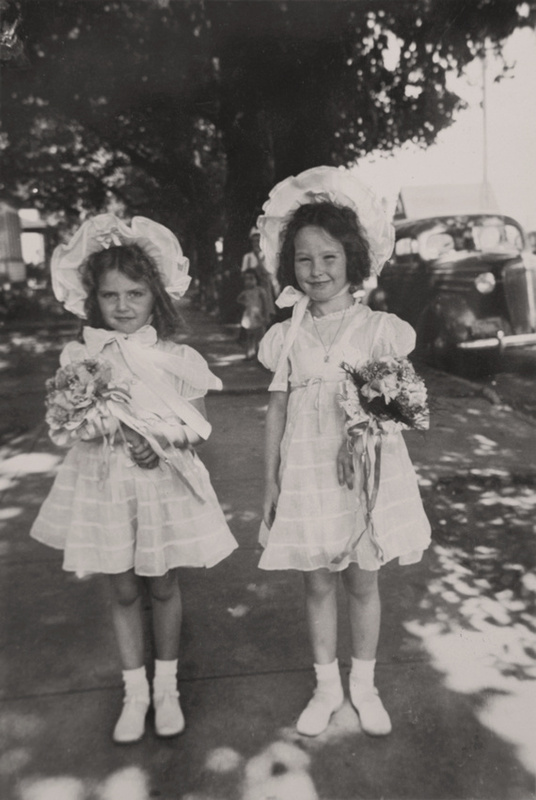 This photograph helped to identify a previously an unknown wedding snapshot that was also from the wedding of Frederick William Selker & Eleanor E. Herman. 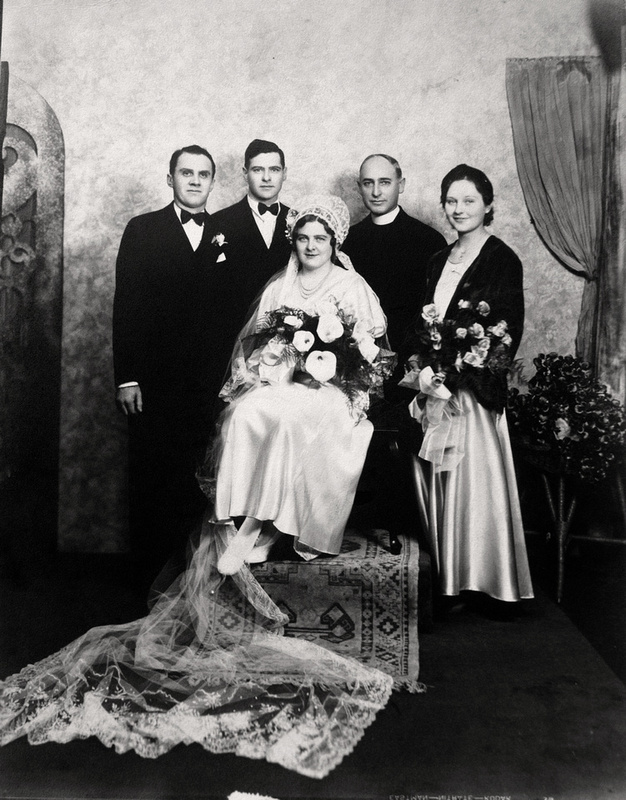 Left to Right: Ambrose John Selker (Best Man, Brother of the Groom), Naomi Herman (Maid of Honor, Sister of the Bride), Frederick William Selker (Groom) and Eleanor E. Herman (Bride). 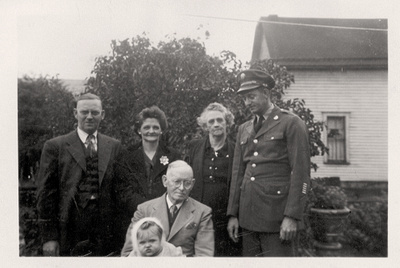 The photographs from a McDonald family gathering in 1945 are some of my favorites. 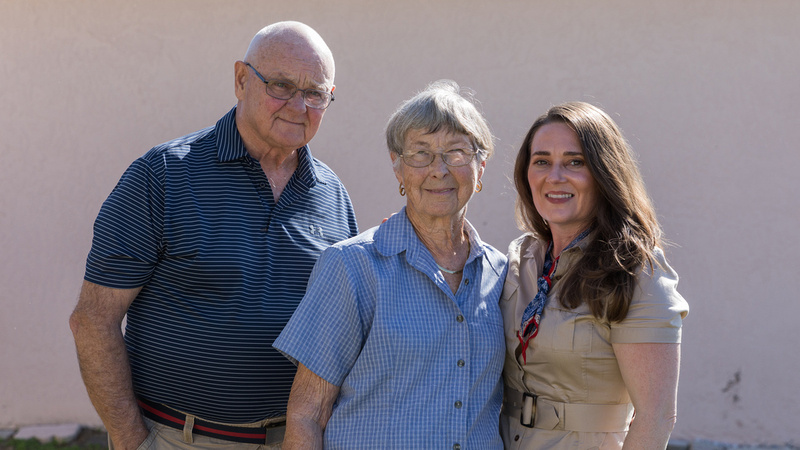 The photographs feature three generations of the McDonald family. 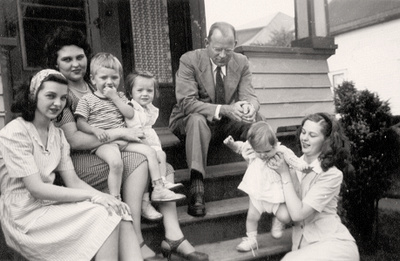 (Left to Right): Kathryn Joan McDonald, Mary Eugenia McDonald holding her son James Arthur Murosky, Barbara Jean Murosky, Charles Eugene McDonald, Eleanor Lucille McDonald holding Mary Helen Murosky. My grandparents Arthur Murosky and Mary Eugenia McDonald were married on August 9, 1941. In addition to the formal portraits taken to commemorate the event - family members took snapshots the day of the wedding. The grouping of snapshots includes individuals from both sides of the family. The formal wedding portrait of Mary Selker & Bernard Martin Browsky was an unknown portrait for several years. 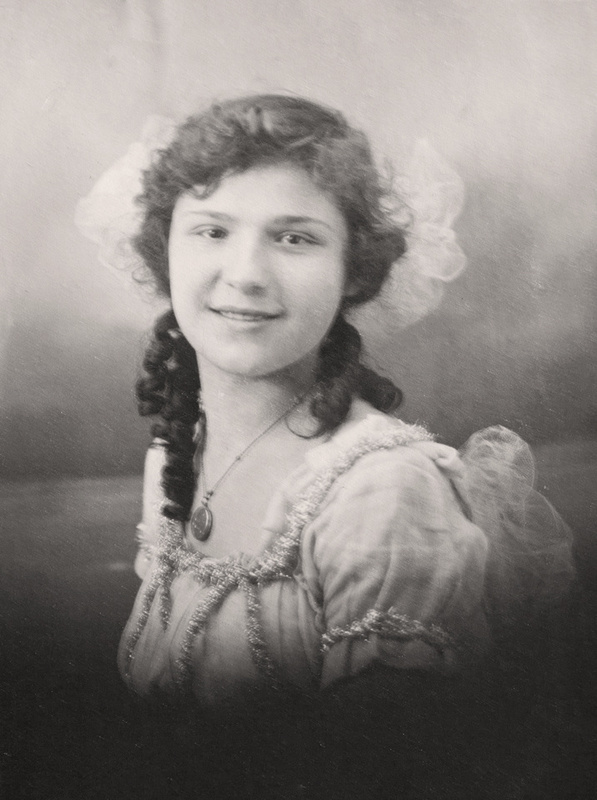 The portrait was from the Frances Philomena Selker Collection and the original is 8x10 – so I suspected this portrait was most likely a family member of Frances Philomena Selker. The Matron of Honor, Anna Gertrude Selker, was the first individual identified. Last summer the Best Man, Frederick William Selker, was also identified. Last fall the wedding announcement for Mary Selker & Bernard Martin Browsky was located. 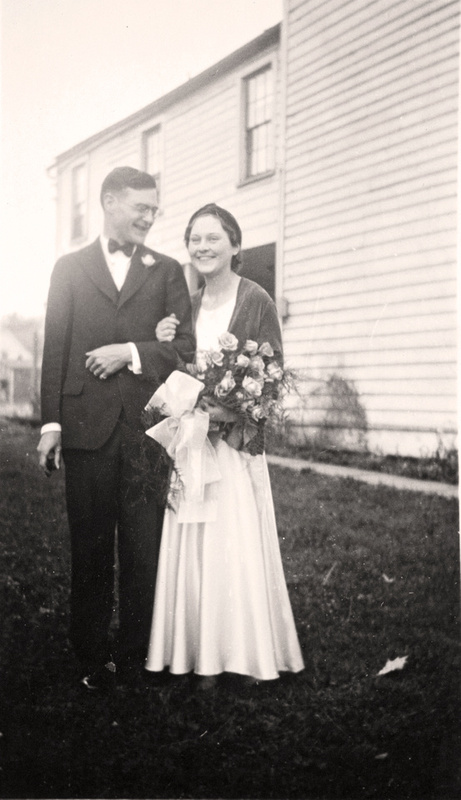 From the wedding announcement: The bride was attended by her sister, Mrs. Ann Shannon of Brookville, and her brother, Frederick Selker, of Clarion, was Mr. Browsky's best man. Left to Right: Bernard Martin Browsky (Groom), Frederick William Selker (Best Man), Rev. A.A. Fisher, Anna Gertrude Selker (Matron of Honor). The Bride, Mary Selker, is seated. Locating the wedding announcement solved the mystery of who the bride and groom were in the mystery wedding portrait and offered context to why Frances Philomena Selker had a copy of the portrait – Mary Selker is her sister. The unknown Photo Gallery was updated with additional images. Each image has a caption that can be viewed in the individual page view. The caption will include any known details about the image. There are navigation arrows to the far left and right in the individual page view. When viewed from a computer - each image has a unique website address. That website address can be used to share a direct link to the image. Label on Back: "This picture was taken in Meyersdale"
The family history research site has surpassed 125,000 page views! Thank you so much for Reading! Leopold George Selker, the son of Joseph William Selker and Frances Philomena Guth, married Katherine Veronica Hartle on 30 October 1917 in Clarion, Clarion County, Pennsylvania at the Immaculate Conception Church. 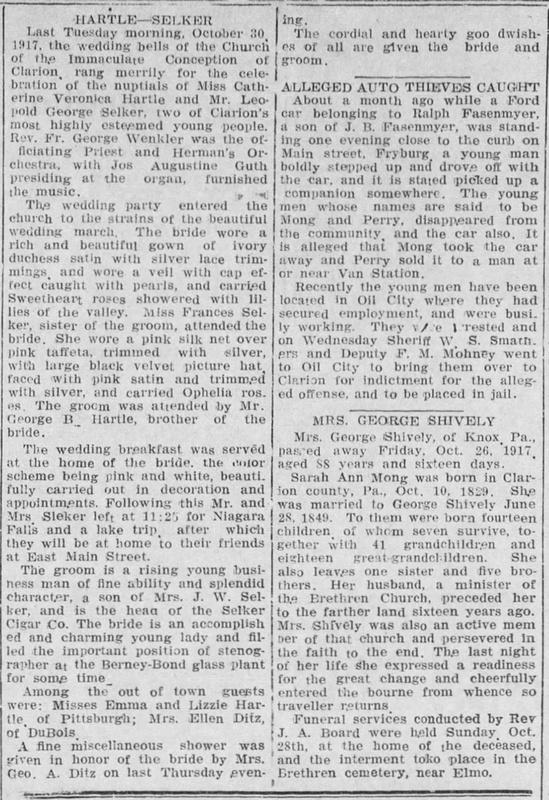 Last Tuesday morning, October 30, 1917. the wedding bells of the Church of the Immaculate Conception of Clarion rang merrily for the celebration of nuptials of Miss Catherine Veronica Hartle and Mr. Leopold George Selker, two of Clarion's most highly esteemed young people. Rev. Fr. George Wemkler was the officiating Priest and Herman's Orchestra, with Jos Augustine Guth presiding at the organ, furnished the music. The wedding party entered the church to the strains of the beautiful wedding march. The bride wore a rich and beautiful gown of ivory duchess satin with silver lace trimmings and wore a veil with cap effect caught with pearls, and carried Sweetheart roses showered with lilies of the valley. Miss Frances Selker, sister of the groom, attended the bride. She wore a pink silk net over pink taffeta, trimmed with silver, with large black velvet picture hat faced with pink satin and trimmed with silver, and carried Ophelia roses. The groom was attended by Mr. George B. Hartle, brother of the bride. The wedding breakfast was served at the home of the bride, the color scheme being pink and white, beautifully carried out in decoration and appointments. Following this Mr. and Mrs. Sleker left at 11:25 for Niagara Falls and a lake trip after which they will be at home to their friends at East Main Street. The groom is a rising young business man of fine ability and splendid character, a son of Mrs. J.W. Selker, and is the head of the Selker Cigar Co. The bride is an accomplished and charming young lady and filled the important position of stenographer at the Berney-Bond glass plant for some time. Among the out of town guests were: Misses Emma and Lizzie Hartle, of Pittsburgh; Mrs. Ellen Ditz of DuBois. A fine miscellaneous shower was given in honor of the bride by Mrs. Geo. A. Ditz on last Thursday evening. The cordial and hearty good wishes of all are given the bride and groom. There are currently no photographs in the collection from the wedding of Leopold George Selker and Katherine Veronica Hartle. Joseph William Selker and Frances Philomena Guth are my 2nd Great Grandparents. Leopold George Selker is my 2nd Great Uncle. Frances Philomena Selker, the daughter of Joseph William Selker, is my great grandmother. Frances Philomena Selker is the mother of my paternal grandmother Mary Eugenia McDonald. Newspapers.com. The Clarion Democrat (Clarion, Pennsylvania). Thu, Nov 1, 1917 · Page 1. Image: https://www.newspapers.com/image/321745893 Downloaded on Sept 21, 2018. Ambrose John Selker, the son of Joseph William Selker and Frances Philomena Guth, married Mary Elizabeth Meisinger on 20 August 1935 in Clarion, Clarion County, Pennsylvania at the Immaculate Conception Church. 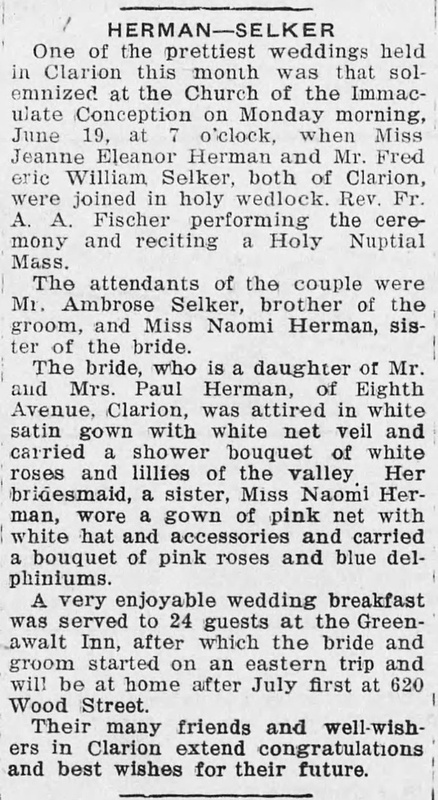 A pretty wedding was solemnized Tuesday morning, August 20, 1935, at Immaculate Conception Church when Miss Mary Elizabeth Meisinger, daughter of Mrs. Paul E. Meisinger, became the bride of Ambrose John Selker, son of Mrs. J.W. Selker, the Reverend A. A. Fischer officiating. The bridal party entered the church to the strains of Lohengrin's Wedding March. The bride was attended by her sister, Miss Agnes Meisinger. The groom has for his best man his brother, Vincent G. Selker. The ushers were Francis X. Zacherl and Paul E. Trunk. The bride's gown was of white lace and her tulle veil was banded with orange blossoms. She carried white lillies. Her bridesmade wore a creation of blue chiffon with lace tunic and smart turban of same material. She carried pink gladioli, tailsman roses and blue delphinium. The wedding breakfast was served at the Hotel Anderson. Later in the day the couple left for a Canadian motor trip to spend their honeymoon. They will reside at 13 Third Avenue when they return. The bride is one of Clarion's finest young ladies and has won the admiration of all by her kindly and courteous life. Mt. Selker is one of sturdiest and most successful young business men. Our people wish them all the blessing of a happy life. There are currently no photographs in the collection from the wedding of Ambrose John Selker and Mary Elizabeth Meisinger. Joseph William Selker and Frances Philomena Guth are my 2nd Great Grandparents. Ambrose John Selker is my 2nd Great Uncle. Frances Philomena Selker, the daughter of Joseph William Selker, is my great grandmother. Frances Philomena Selker is the mother of my paternal grandmother Mary Eugenia McDonald. Newspapers.com. The Clarion Democrat (Clarion, Pennsylvania). Thu, Aug 22, 1935 · Page 5. Image: https://www.newspapers.com/image/322356589 Downloaded on Sept 21, 2018. Additional photographs were recently added to the Uknown Collection Photo Gallery. 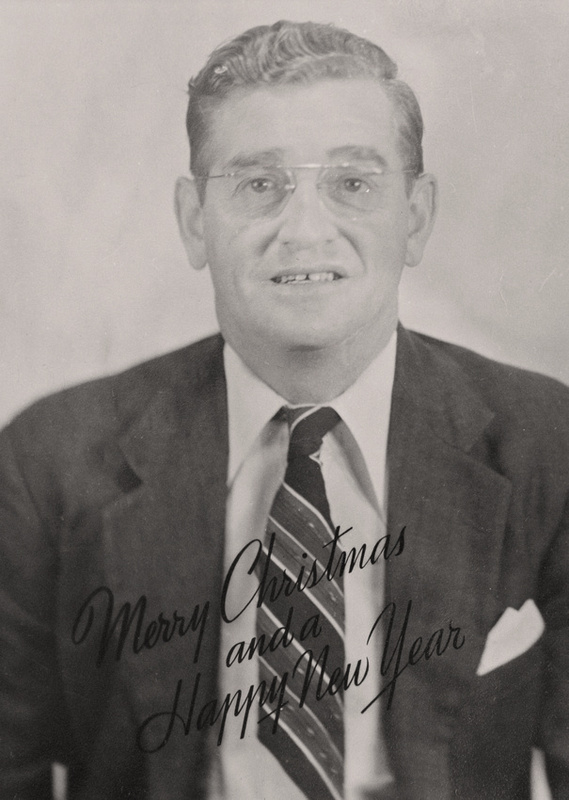 The Unknown Collection includes unlabeled photographs that were included in the various family photo collections. The gallery currently contains 125 old photographs. 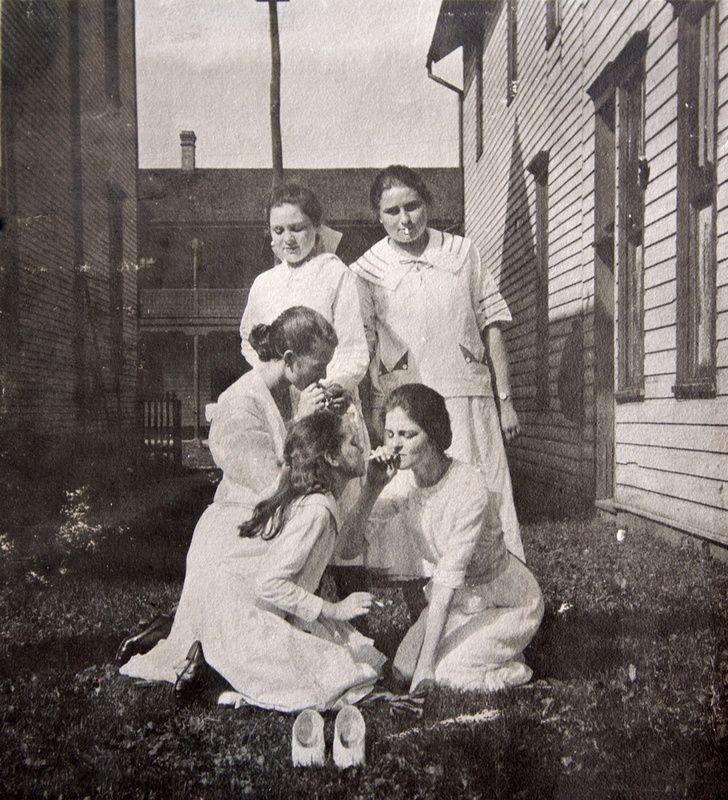 Some of the photographs were included in the Helen Tillie Bukowski Collection, The Frances Philomena Selker Collection or the Mary Eugenia McDonald Collection. There were also images from several families mixed together. Visit the Uknown Collection Photo Gallery to view the photographs. Each image has a caption that can be viewed in the individual page view. The caption will include any known details about the image. There are navigation arrows to the far left and right in the individual page view. When viewed from a computer - each image has a unique website address. That website address can be used to share a direct link to the image. Today we remember and honor our Military Veterans. Thank you to those who served. To view photographs of of military veterans visit the The Military Collection at the family photo website. This digital gallery features over 50 photographs of family members who served in the military. Many of the photographs are from the WWII era. The photographs range from portraits with family members to photos taken where the men were stationed and sent home to loved ones. Many of the photos are from the Helen Tillie Bukowski Collection. The Military Service list is a work in progress that is updated as family history research progresses. If family members are missing please let me know and they will be incorporated. Hermann Selker is said to have a soldier, serving under Napoleon Bonaparte in the Prussian Army during the retreat from Moscow, Russia in 1812. Andrew Haggerty was the son of Robert Haggerty and Rebecca Easly. He was born in 1839 and he may have served in the Civil War. Historical records show that an Andrew Haggerty died at Gettysburg on July 2, 1863. It is currently unknown if the Andrew Haggerty that died at Gettysburg is the son of Roberty Haggerty and Rebecca Easly. John Lauer, the husband of Francisca Loll. Francisca was the sister of John Loll above and the daughter of Antoine Loll and Mary Ann Jehl, my 4th great grandparents. John was born 15 May 1841 in Baveria, Germany the son of George Lauer and Ursula Bendorfer. John is said to arrived with his parents to the United States in 1846. John would have been around 20 at the start of the war. A Proud People A Proud Heritage, compiled by the compiled by the History Committee of St. Joseph Parish, Lucinda, Pa. indicates that John was taken as a prisoner of war on April 25, 1864. He later re-joined his regiment on December 16, 1864. John Loll was born in Marcholsheim, Alsace, France on 08 Oct 1843. He is the son of Antoine Loll and Mary Ann Jehl, my 4th great grandparents. He arrived in the United States on 07 Oct 1852 at the Port of New York when he was 9 years old with his family. At the age of 18 he would serve in the Union Army. In February of 1862 he would be wounded in battle and would die as a casualty of war on June 10, 1862 in a hospital in Washington, D.C.
Joseph Loll served between 1861 and 1863 Company F, 63rd Regiment. James McDonald fought in the Civil War. In August 1,1861 he was enlisted in Company F, 63rd regiment at approximately age 33. James was in a Confederate Prison camp from May 31 to September 13, 1862. He was promoted to corporal May, 1863; discharged August 28, 1863, for wounds received at Chancellorsville, Va., May 31, 1862. He was shot in the right arm. His grave marker at St. Mary's Catholic Church in Crown, Clarion County, Pennsylvania indicates his rank of Corporal. James would have been about 32 at the time of the civil war. James is estimated to be born around 1829 in Ireland, the son of David McDonald and Bridget, my 4th great grandparents. John McDonald, brother of James McDonald, also served in the civil war. He enlisted as a private on February 25, 1864 at approximately age 28 with Company F, 63rd Regiment. He was transferred to Company H, the 105th Regiment Pennsylvania Volunteers. He died October 16, 1864 in Beverly, New Jersey. 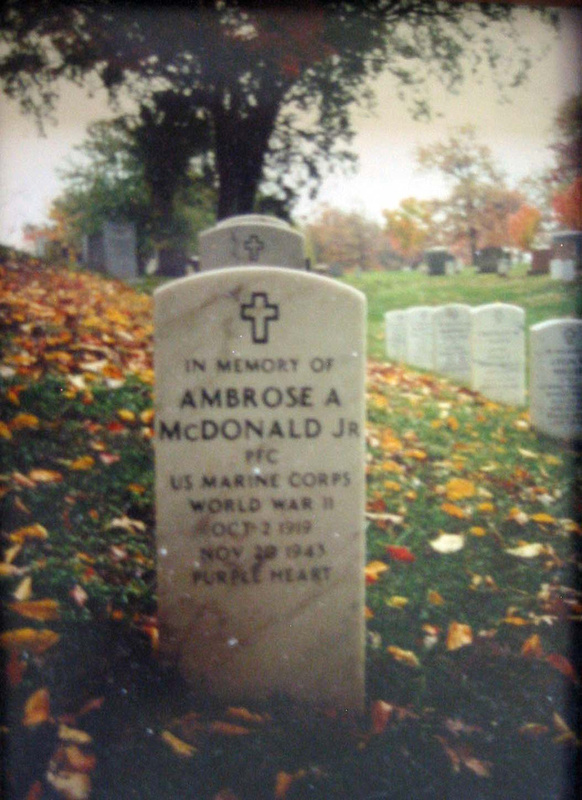 He is buried in Beverly National Cemetery in Beverly, Burlington County, New Jersey. His grave marker references Company H, 105 PA. Inf. To view his grave marker visit this link. Andrew McDonald, brother of James and John also served in the civil war. He enlisted as a private on March 14, 1862 at approximately age 22 for three years. Andrew was in a Confederate Prison camp from May 31 to September 13, 1862 with his brother James. He was then transferred to Company G., Second U.S. Calvary, on November 5, 1862 were he served as a sergeant. To view the original post highlighting the service of Civil War veterans visit the Civil War Veterans. Leopold M. Loll was born 18 Nov 1875. He was the son of Joseph Loll, my 3rd great grand uncle, and Helen Eisenman. According to William Loll, who wrote the Loll Family History books, Leopold served in the Spanish American War. Leopold died in 1918 at the age of 42. Gabriel Augustine Haggerty born 1891 and served in WWI. Vincent Charles Lynam born July 6, 1888 in Fryburg, Clarion, Pennsylvania served in WWI. Robert Edwin McDonald was born in Clarion Clarion County Pennsylvania Feb 1, 1899 the third child born to Robert Alphonsus McDonald Winifred Agnes O'Neill. Joseph Murosky, Sr. was born July 4, 1900 in Forest City, Susquehanna, Pennsylvania. He was the son of Anthony Murosky, Sr. and Eva Zielinski. He served in the United States Army as a Private First Class (PFC). He enlisted on May 2, 1917 at age 16 and was discharged on October 2, 1919 at age 19. To view the original post highlighting the service of WWI veterans visit the post In Memory of WWI Veterans. 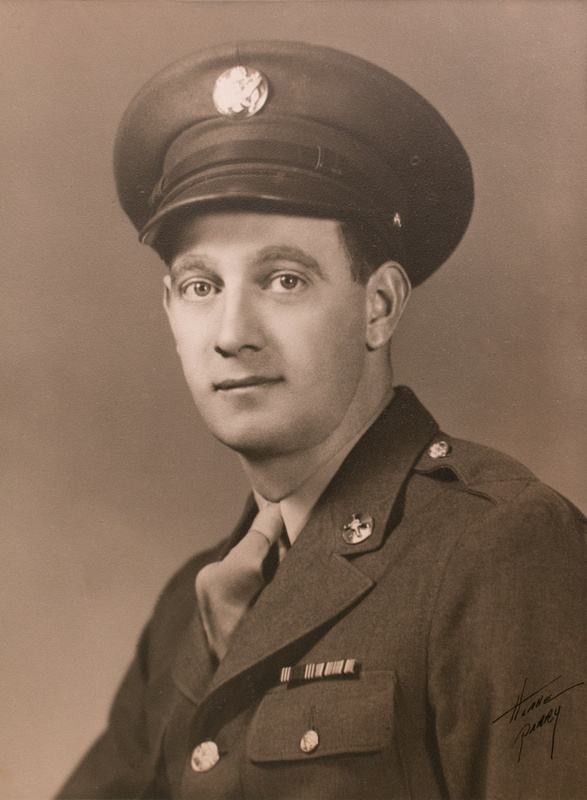 There are numerous World War II veterans in the family. 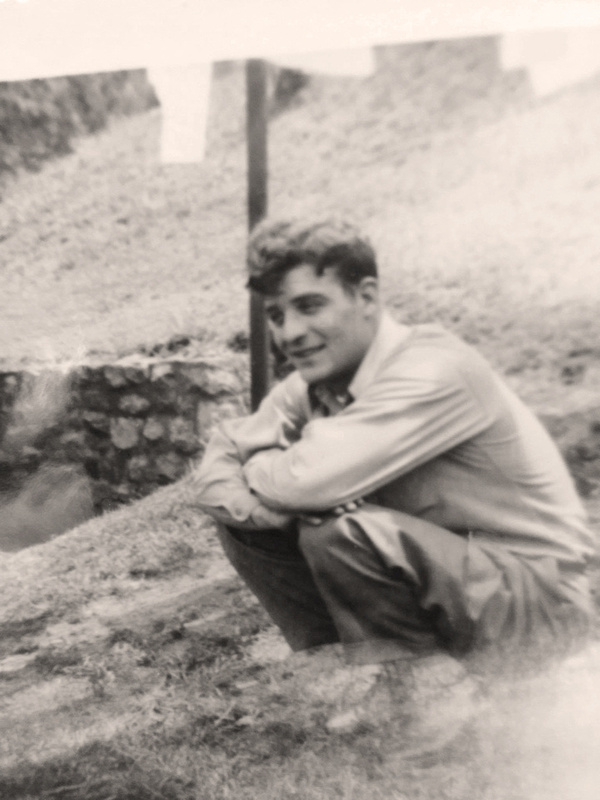 Daniel L. Bukowski was born September 19, 1921. He served as a Sargent in the Army from October 24, 1942 through December 17, 1945. He was recognized in World War II Young American Patriots, 1941-1945 for his service. He was awarded the Army Good Conduct Medal, the European-African-Middle Eastern Campaign Medal and the Asiatic-Pacific Campaign Medal. Joseph R. Bukowski was born July 4, 1906 in Erie, Pennsylvania. He served in the Army between June 15, 1943 and June 24, 1944 as a Private in the Army. Norbert Bukowski was born July 13, 1920 in Erie, Erie County, Pennsylvania. He served in the United States Coast Guard from June 17, 1942 through November 7, 1945. 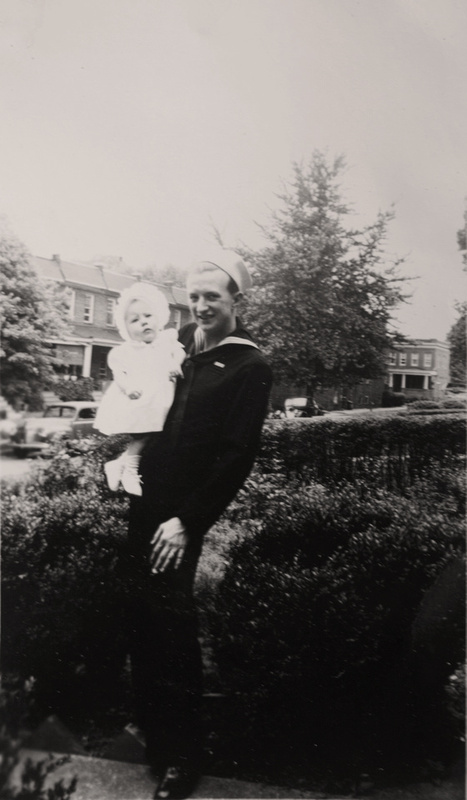 Raymond H. Bukowski was born February 28, 1920 in Erie, Pennsylvania He served in the US Navy. John E. Chanis, Jr. was born February 12, 1916 in Forest City, Pennsylvania He served in WWII - PFC between July 27, 1944 and September 1945. Anthony Aloysius Fromknecht was born January 23, 1925 in Erie, Erie County, Pennsylvania. He was the son of Joseph J. Fromknecht and Mary Loesch. 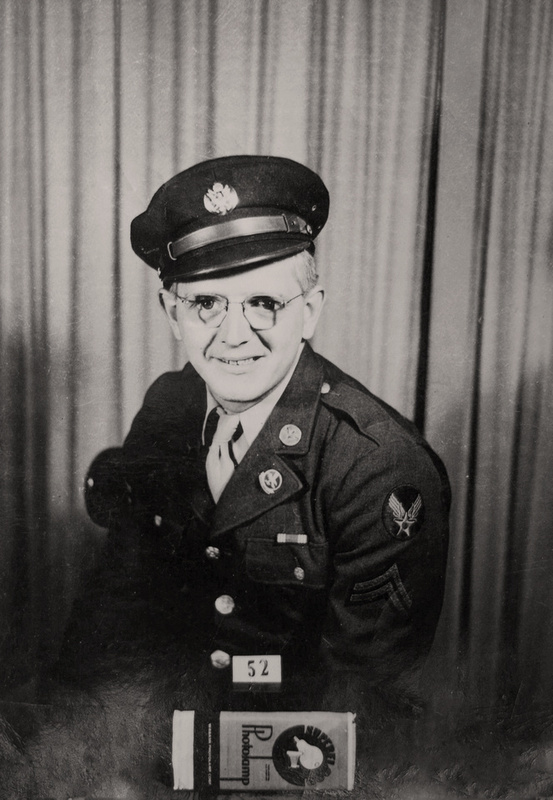 Anthony enlisted in the United States Army on February 21, 1941 in Pittsburgh, Allegheny County, Pennsylvania. He served as a 1st Lieutenant. He was discharged from service on December 22, 1945. Raymond Loll was born in 1922 the son of Francis G. Loll, my 2nd cousin 3x removed, and Elizabeth Hartle. 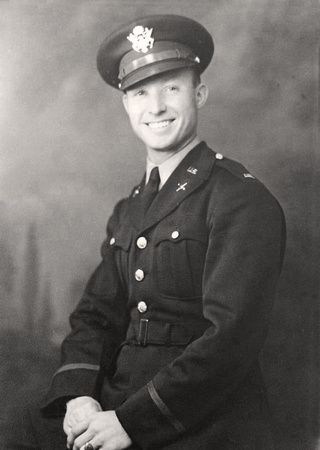 On February 20, 1943, at age 21, Raymond enlisted with the Air Corps in Miami Beach, Florida. 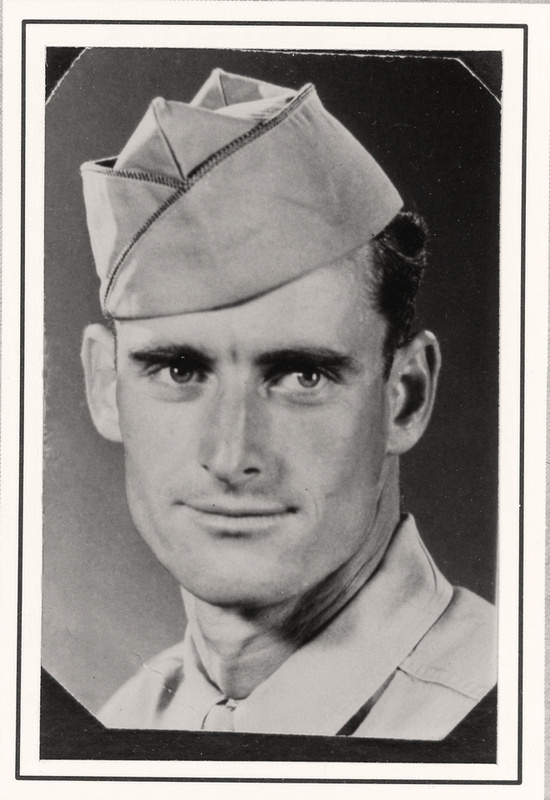 Raymond was trained as a B-29 pilot and assigned to the 43rd Bomber Squadron and the 29th Bomber Group designated 'Very Heavy'. 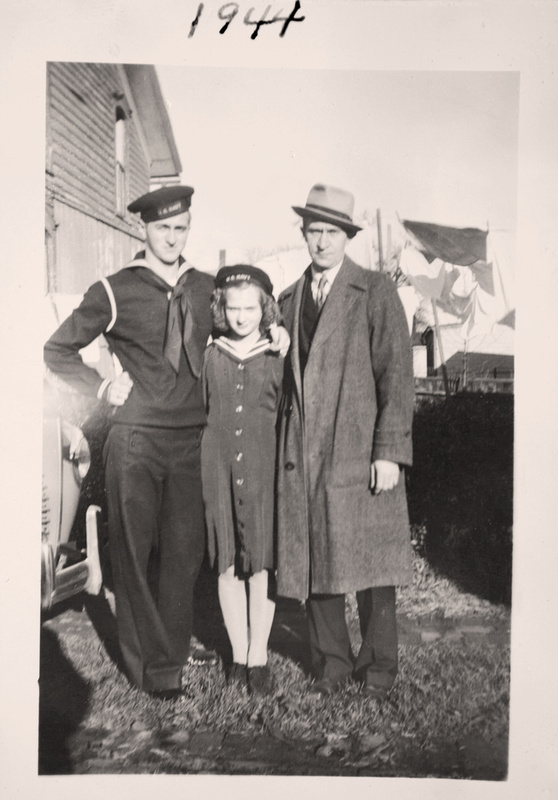 On April 14, 1945 Raymond's plane was lost and the crew perished on a Mission to Tokyo. 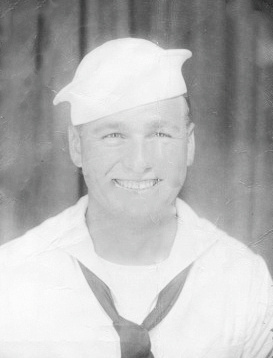 Raymond was recorded as Missing in Action or Buried at Sea. 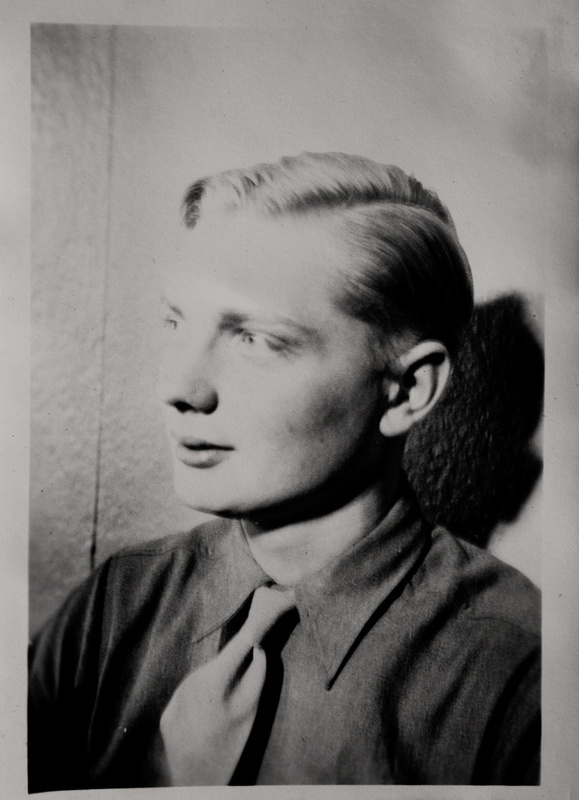 Raymond was 23 years old at the time of his death. He was awarded a Purple Heart and an Air Medal for his service. 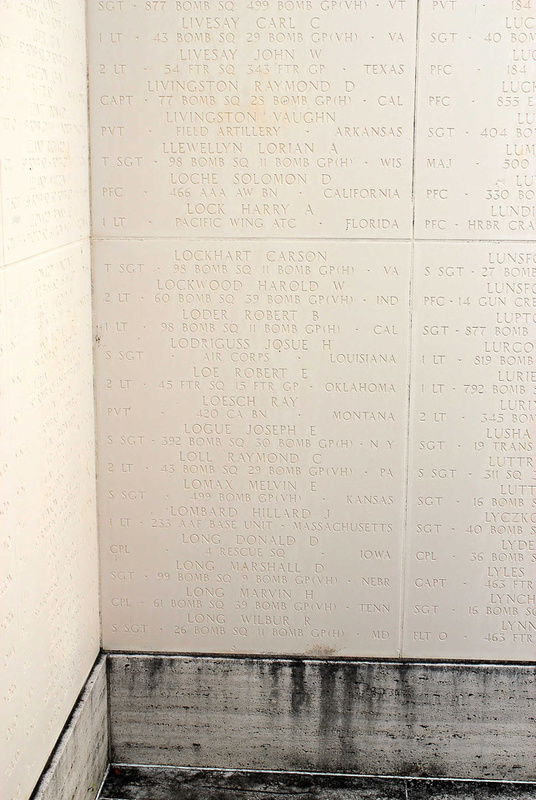 He is also honored in the Tablets of the Missing at the Honolulu Memorial at the National Memorial Cemetery of the Pacific. Barbara Lynam was born June 24, 1912 in Oil City, Pennsylvania. 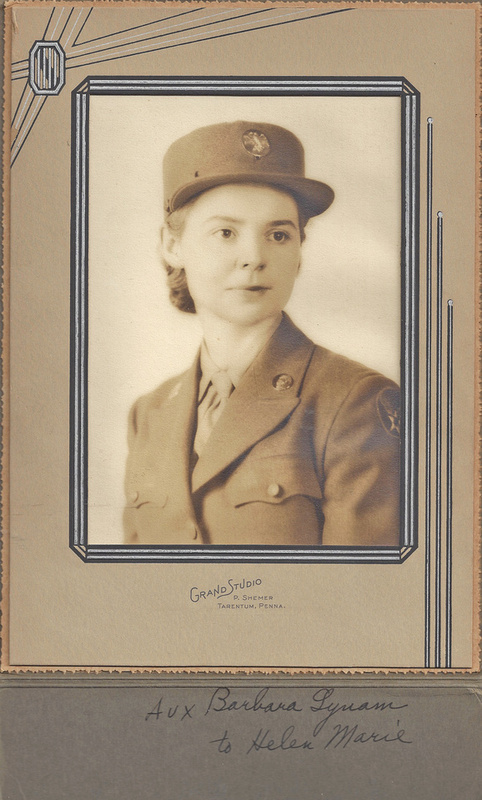 She served in the PFC WAC WWII. Robert Aloysius Haggerty was born July 24, 1927. He served as a SSGT in the US Marine Corps in WWII. James Aloysius McDonald was born 02 Jan 1912 in Pittsburgh, Allegheny County, Pennsylvania. He was the son of Robert Alphonsus McDonald, my 2nd great grandfather and Winifred Agnes O'Neill, my 2nd great grandmother. 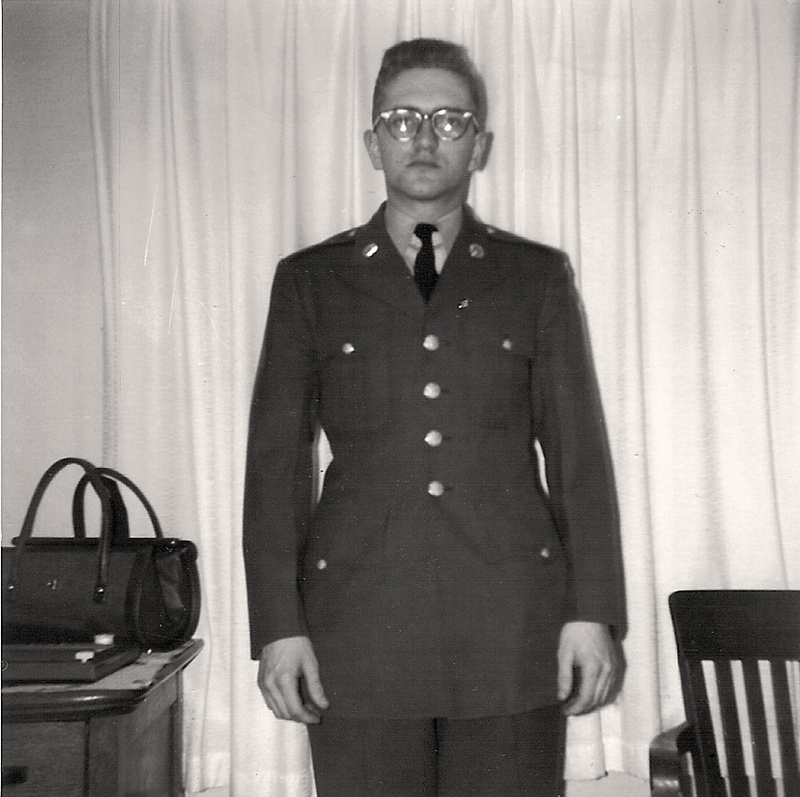 James served in the US Army. He enlisted in Pittsburgh, Allegheny County, Pennsylvania on 17 July 1942. He was discharged from service 1 November 1945. James died 18 June 1982 at age 70. Edward V. Murosky was born 03 Mar 1925 in Erie, Erie County, Pennsylvania. He was the son of Anthony Harry Murosky Jr., my great grandfather and Helen Tillie Bukowski, my great grand mother. Edward was stationed along the Alaskan Highway in WWII. Edward died on 11 Dec 1996, at age 71, in Erie, Erie County, Pennsylvania. Harry A. Murosky was born 21 Mar 1921 in Erie, Erie County, Pennsylvania. He was the son of Anthony Harry Murosky Jr., my great grandfather and Helen Tillie Bukowski, my great grand mother. Harry died on 29 Mar 2002, in Raleigh, North Carolina. William Murosky was born July 11, 1902 in Forest City, Pennsylvania. He served in the Army, WWII Air Corps from August 12, 1942 through January 1943. Benjamin Ragan Norris was born December 30, 1916. He served as a waist gunner on a B17. Four days after his wedding to Barbara Lynam he was shipped abroad. His plane the War Eagle crash landed on May 28, 1944 90 miles east of Treves, Germany after engine trouble. All of the crew were taken prisoners by the Germans. except for Benjamin and the other waist gunner Daniel Dunbar. They walked 300 miles to Allied France. They were picked up by the French Resistance and fought with them until the area was liberated by the US 4th armored division. At that point Benjamin was sent back to the United States were he served an instructor for future recruits. 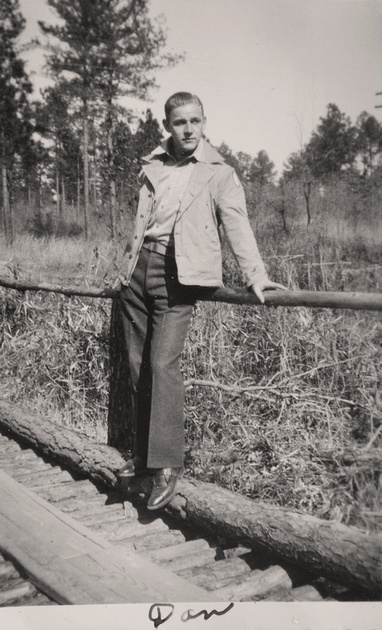 Christopher D. O'Neill was born in Clarion, Clarion County, Pennsylvania in 1919. He was the son of Owen James O'Neill and Nellie Boyles. Christopher was was a member of the 579th Bomber Squadron, 392nd Bomber Group, Heavy. He served as s a Right Waist Gunner/Assistant Engineer on the B-24 aircraft. He died on November 6, 1943 in a German Hospital in Middelburg, the Netherland after suffering injuries from jumping out his aircraft the day before. He was buried in the Ardennes American War Cemetery in Belgium. He was awarded a Purple Heart and an Air Medal for his service. To view his his grave marker visit this link. Edward Charles Selker, Jr. was born 26 January 1926. He is the son of Edward C. Selker Sr. and Eva Theresa Margaret Zacherl. 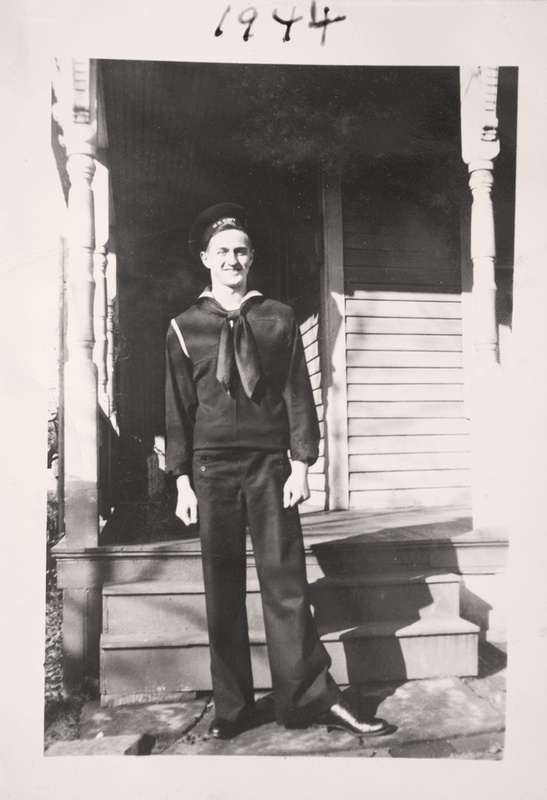 Edward enlisted with the United States Navy on 12 April 1944. He was discharged on 18 June 1946. 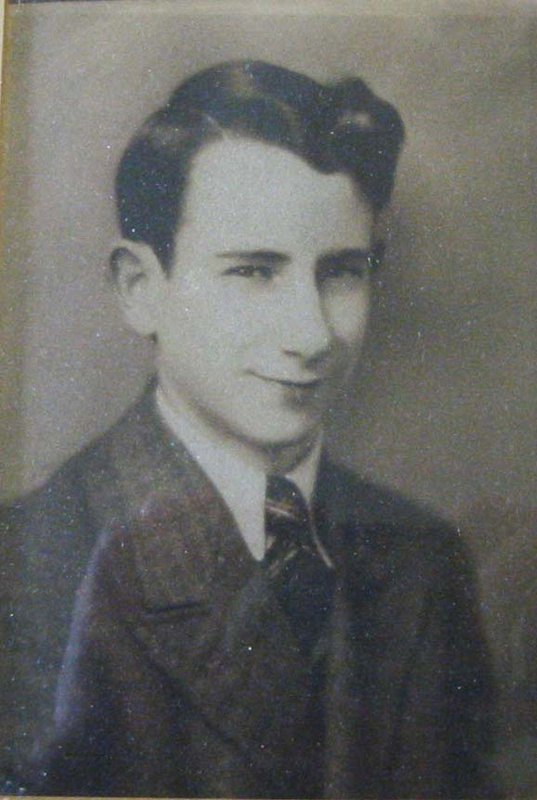 Leopold George Selker, Jr. was born 21 July 1918. He as the the son of Leopold George Selker, Sr. and Katherine V. Hartle. Leopold enlisted with the United States Army on 3 January 1944. He was discharged on 31 January 1945. Philip Franz Selker was born 25 Apr 1907 in Montabaur, Westerwald, Germany. He was the son of Karl Friedrich Selker, my 2nd great grand uncle. His mother has been listed as Margarita Wolf, but on a personal visit to him in 2001 he indicated that Margarita Wolf was not his mother and that his father had re-married after her death. Philip arrived in the United States in 1929, he came to avoid the growing military establishment in Germany. 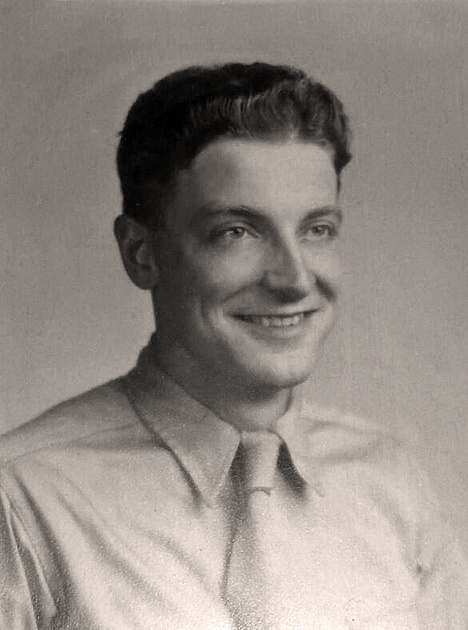 During World War II, Philip served in the Infantry in the United States Army. He landed at Omaha Beach on the second day of the invasion of Europe. He saw Action in France, Belgium, and Germany. He was injured during the Bulge. He later participated in the war in the Pacific. Robert V. Pietrzak was born October 25, 1925 in Erie, Erie County, Pennsylvania. He served in the United States Navy. Edward W. Zelazny was born September 11, 1915 in Erie, Pennsylvania. He was the son of Joseph Stanislaus Zelazny and Catherine M. Bukowski. He served as a Navy Corpsman from 1944 to 1945. He served as a medic in the Philippines. John Bukowski, Jr. was born April 23, 1932 in Erie PA. He served in the Army as a Corporal from December 2, 1952 to November 6, 1954. There are several Vietnam veterans in the family, some are still living and are not listed below to protect their privacy. James Arthur Murosky was born 08 Oct 1942 in Erie, Erie, County Pennsylvania, the son of Arthur Murosky, my grandfather, and Mary Eugenia McDonald, my grandmother. James served in Vietnam. He died 23 Nov 1993 at the age of 51, in Erie, Erie County, Pennsylvania. Thomas S. Hazlett was born 02 Mar 1942 in Brookfield, Noble County, Ohio. He was the son of Leland M. Hazlett and Hazel Jones. Thomas served in the United States Navy during the Vietnam War. 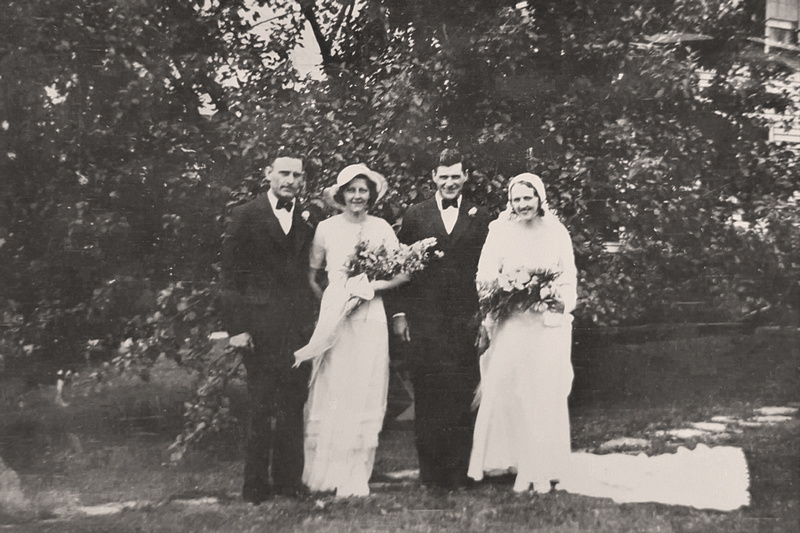 Frederick William Selker, the son of Joseph William Selker and Frances Philomena Guth, married Eleanor E. Herman on 19 June 1933 in Clarion, Clarion County, Pennsylvania at the Immaculate Conception Church. One of the prettiest weddings held in Clarion this month was that solemnized at the Church of the Immaculate Conception on Monday morning, June 19, at 7 o'clock, when Miss Jeanne Eleanor Herman and Mr. Frederic William Selker, both of Clarion, were joined in holy wedlock. Rev. Fr. A. A. Fisher performing the ceremony and reciting a Holy Nuptial Mass. The attendants of the couple were Mr. Ambrose Selker, brother of the groom, and Miss Naomi Herman, sister of the bride. The bride, who is a daughter of Mt. and Mrs. Paul Herman, of Eight Avenue Clarion, was attired in white satin gown with white net veil and carried a shower bouquet of white roses and lillies of the valley. Her bridesmaid, Miss Naomi Herman, wore a gown of pink net with white hat and accessories and carried a bouquet of pink roses and blue delphiniums. A very enjoyable wedding breakfast was served to 24 guests at the Greenawalt Inn, after which the bride and groom started on an eastern trip and will be home after July first at 620 Wood Street. Their many friends and well-wishers in Clarion extend congratulations and best wishes for their future. A photograph of the wedding party was shared by a cousin. View the post Wedding Photos: Frederick William Selker & Eleanor E. Herman to learn more about the wedding and view other photographs taken that day. 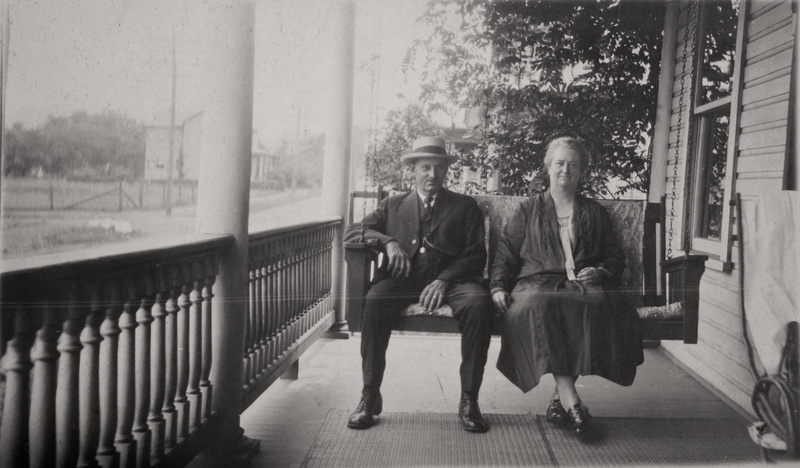 Frederick William Selker (Groom) and Eleanor E. Herman (Bride). The photograph is from the Frederick William Selker Collection. Photographs in this collection were originally owned by the sisters Naomi Herman and Eleanor E. Herman. Today these photographs are in the care of a descendant of Frederick William Selker and Eleanor E. Herman. The photograph is shared with permission. Photographer Unknown. Editing and digital restoration by Michelle M. Murosky. Joseph William Selker and Frances Philomena Guth are my 2nd Great Grandparents. Frederick William Selker and Ambrose John Selker are my 2nd Great Uncles. Frederick and Ambrose are the brothersof Frances Philomena Selker my great grandmother. My paternal grandmother, Mary Eugenia McDonald, is the daughter of Frances Philomena Selker. Newspapers.com. The Clarion Democrat (Clarion, Pennsylvania). Thu, Nov 22, 1933 · Page 1. Image: https://www.newspapers.com/image/325158281 Downloaded on Sept 21, 2018. Mary Selker, daughter of Joseph William Selker and Frances Philomena Guth, was born August 15, 1902 in Clarion, Clarion County, Pennsylvania. She married Bernard Martin Browsky on October 24, 1932. Bernard Martin Browsky was born February 23, 1897. The wedding took place at the Immaculate Conception Church in Clarion, Clarion County, Pennsylvania at 6:30 am. The officiant for the wedding was Rev. A. A. Fisher. Mary Selker was attended by two of her siblings. 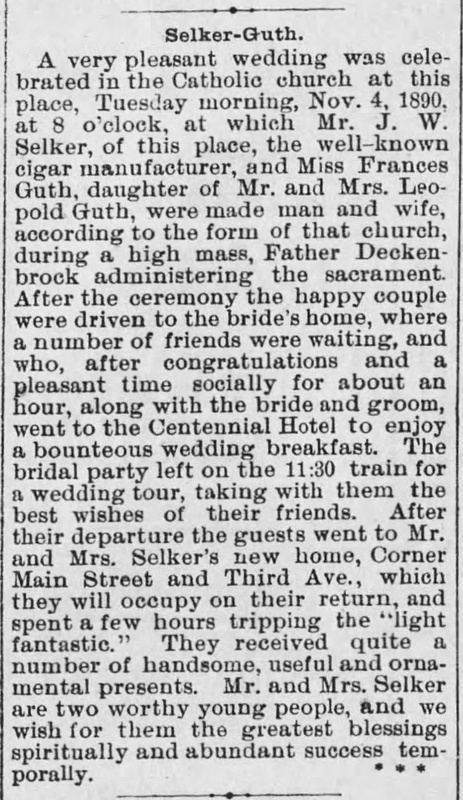 Her sister Anna Gertrude Selker was the Matron of Honor. 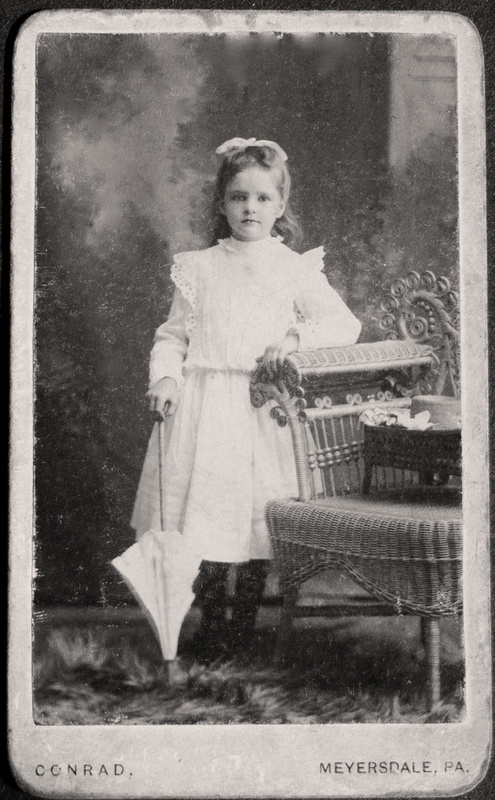 Anna Gertrude, the youngest daughter, was born August 11, 1907 in Clarion, Clarion County, Pennsylvania. Anna married Francis Thomas Shannon on August 21, 1928. Mary's brother Frederick William Selker served as best man. Frederick William Selker was born October 15, 1896 in Clarion, Clarion County, Pennsylvania. He married Eleanor E. Herman on June 19, 1933. When photographed Mary Selker was 30 years old and Bernard Martin Browsky was 35 years old. Matron of Honor Anna Gertrude Selker was 25 years old and Best Man Frederick William Selker was 36 years old. To view the wedding announcement for the couple visit the post Wedding Announcement: Mary Selker & Bernard Martin Browsky. Rev. A.A. Fisher, Anna Gertrude Selker (Matron of Honor). The Bride, Mary Selker, is seated. The back of the photograph is stamped "Carl and Don Clarion, PA"
These photographs were included in the Frances Philomena Selker Collection. Frances Philomena Guth appears to have passed the photographs down to her daughter Frances Philomena Selker. Frances' daughter Mary Eugenia McDonald ended up with her mother's photo collections which is time were handed down to me. Photographer Unknown. Editing and digital restoration by Michelle M. Murosky. Frederick William Selker is my 2nd Great Uncle. 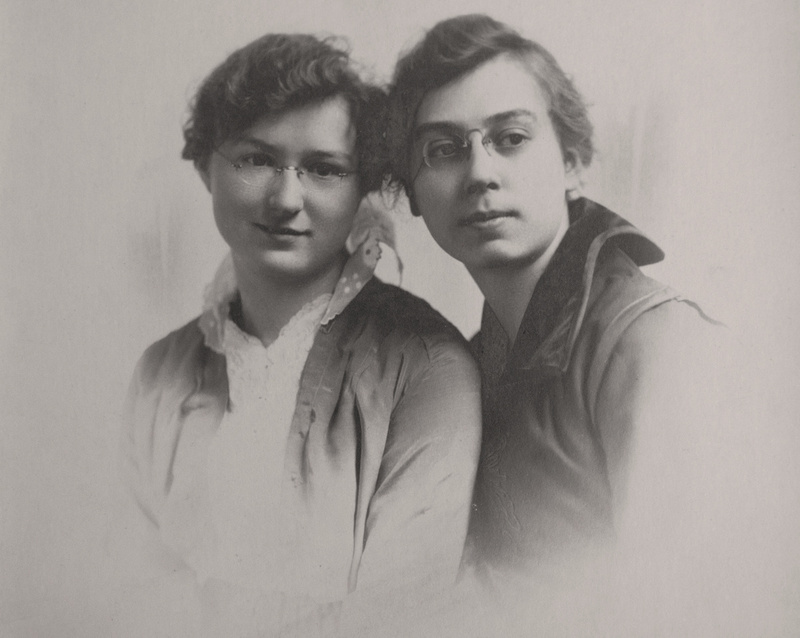 Mary Selker and Anna Gertrude Selker are my 2nd Great Aunts. Frederick, Mary and Anna are the siblings of Frances Philomena Selker my great grandmother. My paternal grandmother, Mary Eugenia McDonald, is the daughter of Frances Philomena Selker.